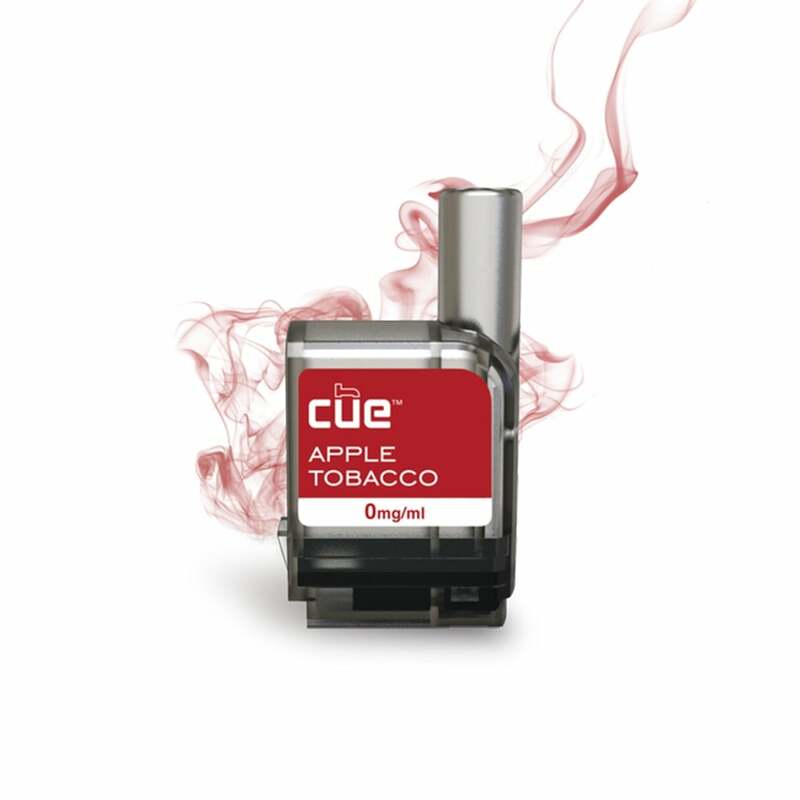 Apple Tobacco is a tobacco pod designed to be used with the Cue Vapor System. It offers a hint of crisp autumn apple, making for a great all-day vape. Very good flavor. Definitely my favorite! THE APPLE IS OK IF YOU LIKE THE SMELL AND FLAVOR. BUT IT IS NOT MY FAVORITE. It's always good and arrives just in time. The Apple Tobacco flavor is unexpectedly actually really good! I was reluctant to try this flavor because so far I haven't liked any of the other tobacco flavors for the Cue, and most apple flavors I've tried from other companies tasted like black licorice. I haven't tried the Cue Full Tobacco flavor yet, though. Anyway, the apple flavor in this tastes all natural and authentic. It's definitely a red apple flavor as it's not sour like green apple. The tobacco flavor tastes like rich pipe and/or cigar tobacco, which I prefer over cigarette tobacco. It might be possible that this flavor is blended with the Full Tobacco flavor rather than the Smooth Tobacco Flavor. So far I don't like the Smooth Tobacco Flavor because it tastes like burnt plastic, and I don't like the Menthol Tobacco or Peach Tobacco flavors because they're blended with the Smooth Tobacco Flavor. This makes me want to try the Full Tobacco Flavor now because I'm wondering if that is what gives this the rich pipe tobacco taste that actually tastes good. In conclusion, this is by the far the best tobacco-based flavor I've tried for the Cue and it's much better than the Smooth Tobacco Flavor. I highly recommend this flavor to people who like the taste of pipe tobacco instead of cigarettes. This flavor is very smooth and tasty. As with all Cue flavors, the sub-ohm coils produce huge clouds of vapor, and I recommend choosing the lower 3mg nicotine option for a smoother vaping experience. The Cue is my favorite by far ! However, the flavor selection is small at best but the actual product is leaps and bounds ahead of the competition ! Electric Tobacconist is also the best. ALL the flavors are good!!! And very easy to use....I just love mine!!! I have only tried this a couple of times. I like apple, but I liked the peach better. I think the apple is a little overpowering. I really like the apple pods. They are so easy to use - no mess and quick. Thanks for making them. I love the apple tobacco and it is so easy to use the cue ecig. I give 5 out of 5 stars! Great customer service and fast delivery!!! This is my second best flavor!